The exchange scheme between St John's College and The California Institute of Technology in Pasadena allows two undergraduates nominated by St John's College to take part in the Caltech Exchange during the Long Vacation. Students who participate in this exchange programme are expected to work for ten full weeks. Caltech cannot accept students after their graduation, so finalists are not eligible to apply for the Caltech exchange programme. Subjects accepted: Almost all subjects in which there is an undergraduate science or engineering major and some in which there is only a graduate major provided a student has the background. Caltech faculty recommend that students interested in highly theoretical areas such as astrophysics should now be in their third year to ensure that they have as much mathematical training as possible. For other areas, students now in their second or third year are fine (finalists will not be accepted). Chemistry, geological and planetary sciences, biology and bioengineering, mechanical engineering, electrical engineering,computer science, etc. are all available research areas. Caltech faculty recommend that Economics students should have a strong background in Mathematics. Student research projects are only limited by the research interests of the Caltech faculty and by faculty availability. Students do not have to have a project in mind, although it would be wise to check the faculty information and research fields of interest on the Caltech website. Experimental, analytical, or observational projects are encouraged instead of theory projects. ** Please note that 3rd year Medicine students are not eligible to apply under Caltech's rules as they will have graduated by the time they go to Caltech. 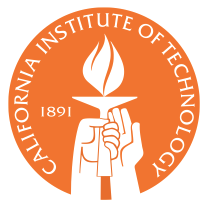 Caltech offers a stipend of at least US $6,275. Travel, visa and insurance expenses are covered for under the scheme by the College. The Caltech Exchange is advertised to students in the Michaelmas Term with a deadline in October. The exact dates will be posted on this webpage closer to the date and a relevant announcement will be made by Student Services. Students who wish to apply will be asked to also attach: (i) a basic CV, and (ii) a personal statement about their research interests and the type of project they would like to pursue at Caltech as well as how they believe that this exchange programme would benefit their academic and personal development. The statement should be no more than one A4 page long.